Maykah team at Maker Faire: Alice Brooks, Bettina Chen, Jennifer Kessler who make ‘Roominate’ the DIY electrical dollhouse. Celebrate women in science and technology today, in honor of Ada Lovelace, world’s first computer programmer. Ada Lovelace Day was started by Suw Charman-Anderson in 2009 in recognition that good role models are crucial to engaging and retaining women in STEM. I’m going to celebrate Ada Lovelace day by recognizing the awesome things that people are doing to encourage girls to become engineers. Robotics is an exciting area with many amazing and influential women. It’s proven to be an enticing entry point for K-12 students into STEM career choices. 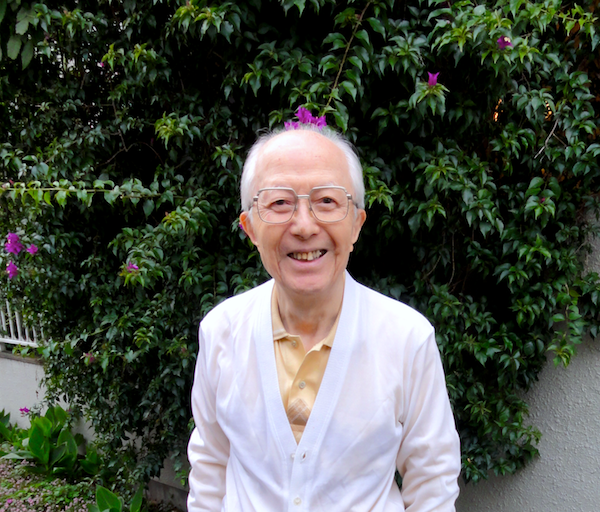 I was going to post a list of great women in robotics but an article crossed my desk today talking about one of the subtler difficulties of attracting girls to STEM (science, technology, engineering & math). Girls decide what they AREN’T going to study much earlier than they decide what they will study (and much sooner than boys do). So, girls are far more likely to limit their possible career choices before they are actually ready to make them. Intervention at college level, or even high school level comes far too late according to Stephen Cooper, associate professor of computer science at Stanford University and chairman of the board of the Computer Science Teachers Association for US K-12 educators. There is a window of opportunity to excite and inspire girls that is wide open in elementary school and rapidly closing in the middle school years (11-14yrs). Programs such as the First Lego League can be critical interventions. So can after-school robotics clubs but not if we don’t have proactive gender policies. Two weeks ago, the robotics after-school program kicked off at my children’s middle school. It was advertized in the school newsletter and the gifted & talented program. The school has an approx equal ratio of boys/girls, around 800 in total. 66 students wanted to join the club. There were only 4 girls and they were all 6th graders (11yrs old) not 7th or 8th graders. This is in a supportive environment where the volunteer coach (me), the teacher and high school mentors are all female! Based on my previous experience building female participation, I will take extra care to put the girls in a team with friends, to encourage them to bring friends along and to nip in the bud any undermining behaviors. But it still makes me sad. That’s why I’m going to cheer myself up and celebrate Ada Lovelace day by recognizing some of the awesome things that people are doing to encourage girls to become engineers. 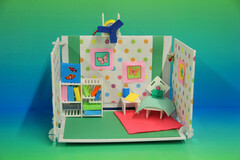 Roominate: A toy that inspires girls (or anyone who likes building houses) to build circuits and make their house come to life! 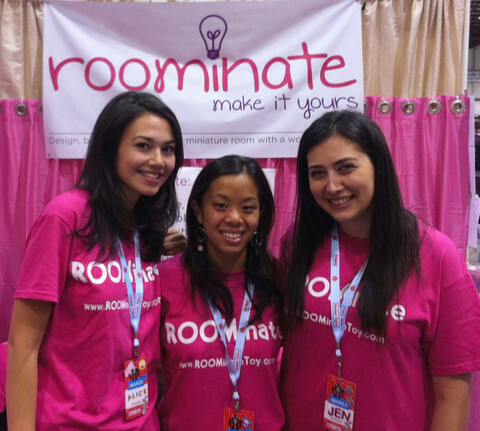 Roominate was started by 3 young women at Stanford and thoroughly tested on children at the Exploratorium. 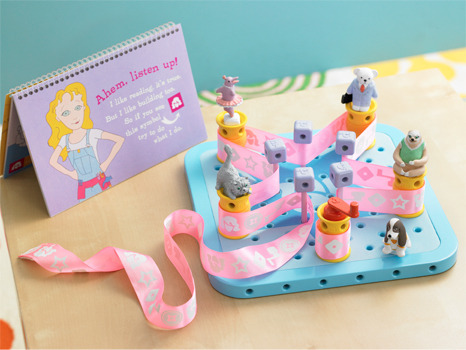 Goldieblox: A construction toy and book series, Goldieblox might be for young girls but there still aren’t enough interesting girl toys out there according to founder Debbie Sterling and Riley. 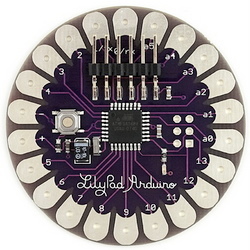 Lilypad Arduino: Microcontroller board designed for wearables and e-textiles by Leah Buechley and Sparkfun. It can be sewn to sensors, power supplies and actuators with conductive thread. Cubelets: A modular construction toy, and CMU spinoff, that appeals to both young and old with their very tangible interface. Scratch: A programming language and education community designed at MIT to encourage everyone to create and share interactive stuff. 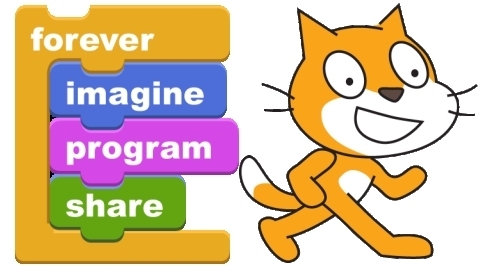 Scratch can be used with game controllers and sensors and can also be used to program motors, including Lego. 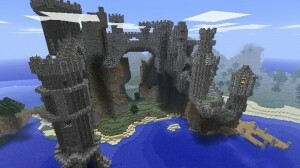 Minecraft: A virtual building game, you can build anything you can imagine. At night monsters come out. My middle school girls love it. I also hope that initiatives like Robot Garden – our soon to open robot hackerspace – will appeal to a wide range of the community. We have carefully selected the name and our ‘brand’ to be as inclusive and inspiring as possible. 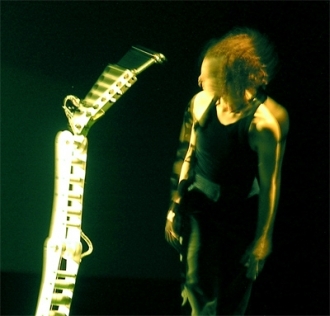 Can Robots Inspire Us To Be Better Humans?